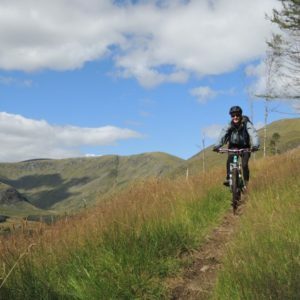 A simple, fun, family friendly ride in and amongst some of the oldest scots pine woodland in the country. Chances to see Osprey, Red and Roe deer and maybe even a Capercallie! A lovely little ride with a big feeling of adventure! A taste of what Britain’s largest national park has to offer. Ancient pine woodlands, picturesque lochs and stunning mountain scenery await! 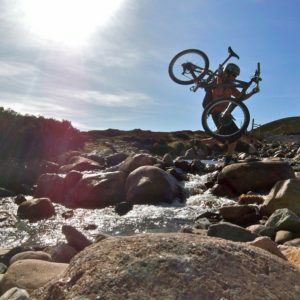 Explore the finest singletrack that the Cairngorms National Park has to offer. A chance to get further from the crowds and deeper into the wilderness. 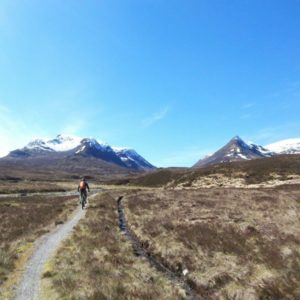 In our humble opinion Torridon is home to some of the best riding in the UK. Postcard scenery, fast and technical trails and rock that will grip in any conditions make this a must ride destination. Includes some hike-a-bike. A big day amongst big mountains. 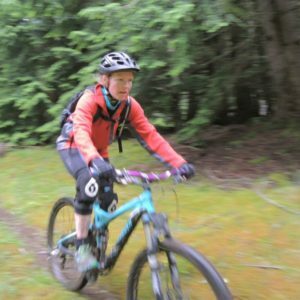 Technical climbs and larger sections of bike carrying yield fast, fun, flowy technical descents that last long enough to forget all the sweating that went into getting you to the top! A truly epic day on a MTB. Ride through the belly of an ancient volcano. Technical terrain surrounded by steep and jagged mountain peaks make this a ride to remember. West of the Cairngorm mountain range sit the Monadhliath, the ‘Grey Mountains’. Some great trails await those who want to explore further afield but perhaps aren’t too confident on more technical terrain. A variety of tracks and trails offer a superb challenge to those wishing to test their navigation and off road riding skills. A real West Coast epic day out. Prices are per person; based on a group of 4, an additional fee may be added for solo riders. Easy going trails and easy going gradients - all in all pretty easy going! Suitable for everyone. Longer rides compared to the greens, with more climbing (and descending!). Slightly more technical terrain. Suitable for those with basic bike handling skills - although tuition can be given if wanted. More time riding on more technical terrain. These routes are usually big mountain days with lots of height gain and descent. These rides will usually include some ‘hike-a-bike’. * if you are unsure about any of the trail gradings please get in touch and we will do our best to tailor a ride to your needs.